I finally changed the title of my blog. Quite fitting, isn't it! AH THE KETCHUP!!! GET IT OUT OF MY BELLY BUTTON!!! IT BURNS!!!! I was walking down the street the other day. I came across the coolest Chinease resturant ever. Apearently chicky chang got him a restraunt now! 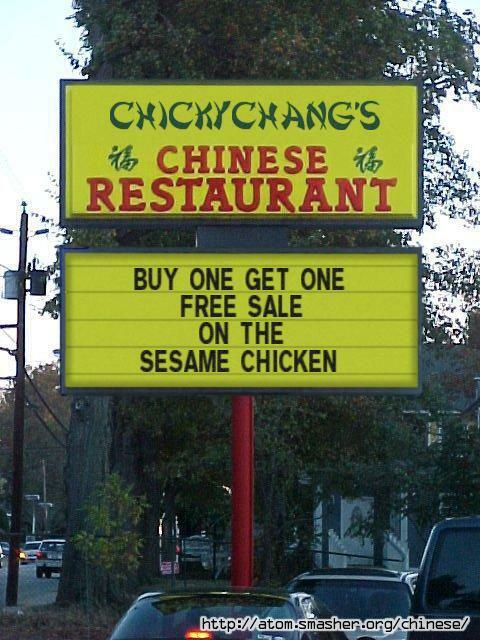 "Chickety China, the Chinese Chicken. You take one bite and your brain stops tickin'"